Captain America is without a doubt among the coolest super heroes ever. The fact that he was a wimpy kid before he was genetically enhanced into a hero gives us all a certain amount of hope. But, who are we kidding? We are never going to turn into a super hero. Well, at least there are Captain America helmets. No, I am not talking about one of those prop helmets designed for costumes. This is the real deal. 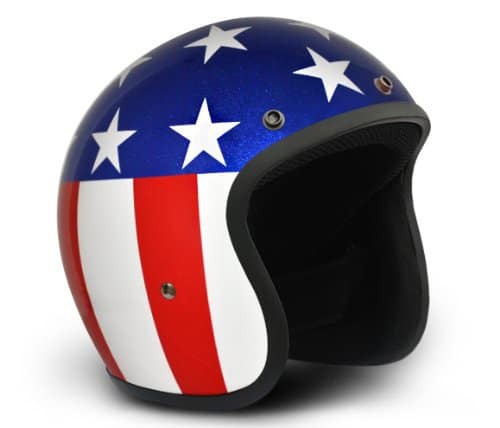 Captain America motorcycle helmets, with stars and stripes, are actually manufactured and they have indeed mended the broken dreams of kids everywhere who longed to be a super-hero. As it is the case with almost everything in the current market, there are plenty of options to choose from, making the decision even more difficult. The plus side is you get to choose a different company and different designs and compare prices. Here are some of the most popular ones. 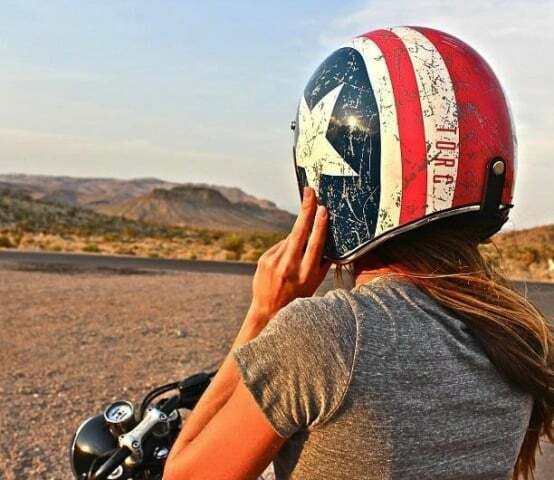 The T50 Route 66 helmet from TORC is constructed with advanced ABS shell. It is light weight and looks superb with the retro paint. The interior padding is remarkable and provides optimum comfort. The padding moisture wicking and is removable and washable. It also features a removable sun visor. It has been approved to DOT standards and the safety has been given optimum priority. It is available in six different sizes. 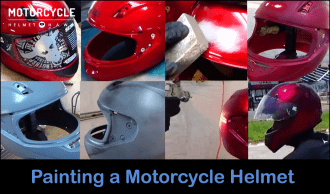 The cost range varies depending on the size of the helmet. 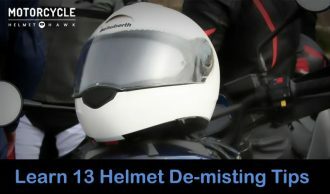 The helmet is super-slim and extremely light weight so it will not hamper your riding experience. The interior padding feels and looks like leather but is in fact moisture wicking fabric that provides superior comfort. 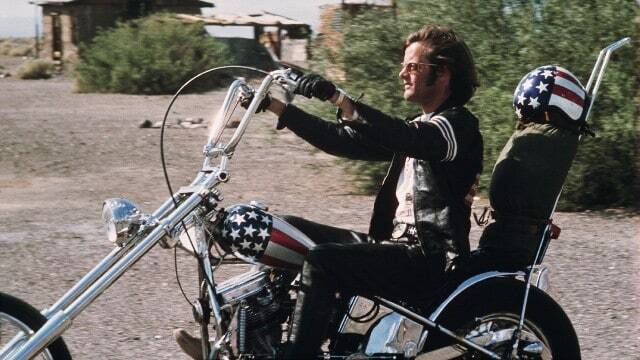 There is barely any noise for an open faced helmet. The retro paint design is superb and looks even better from afar. 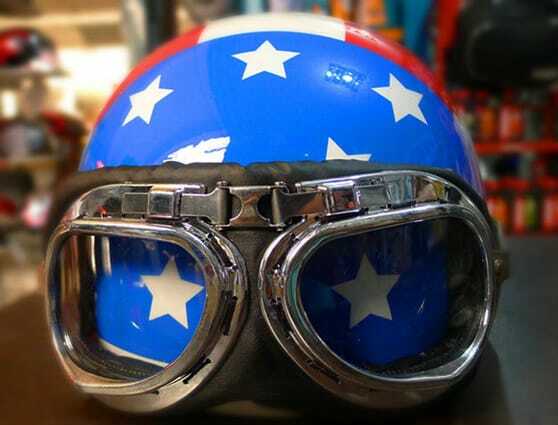 A real vintage Captain America helmet. It looks like Captain just came back from war. It goes without saying that open faced helmets aren’t capable of the same level of protection when compared to the full helmets. 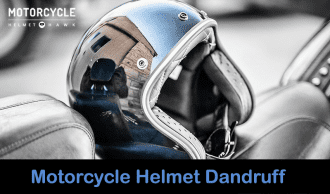 Make sure to get the right size to make sure the helmet doesn’t fly off at high speeds and to avoid any other kind of uncomfortable riding experience. It’s an amazing helmet that looks sturdy. It’s not exactly been tagged as the ‘Captain America’ helmet by the company but it’s got a great look to it with stars and stripes and fits even better. 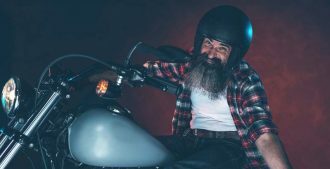 This helmet won’t bulge at high-speeds and is great for cruising. The chipped up, been back from war look from a distance just adds to its rugged personality. It is definitely worth the price. In fact, it’s one of those products makes us proud of our decision-making qualities. 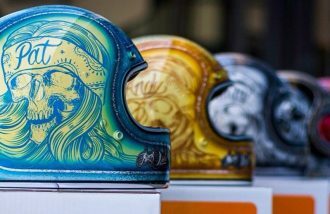 There aren’t many helmets that can match up to this one from TORC. But we have spent a lot of time picking out other options for you. If a rugged look is not what you are seeking, you can consider either of these two. 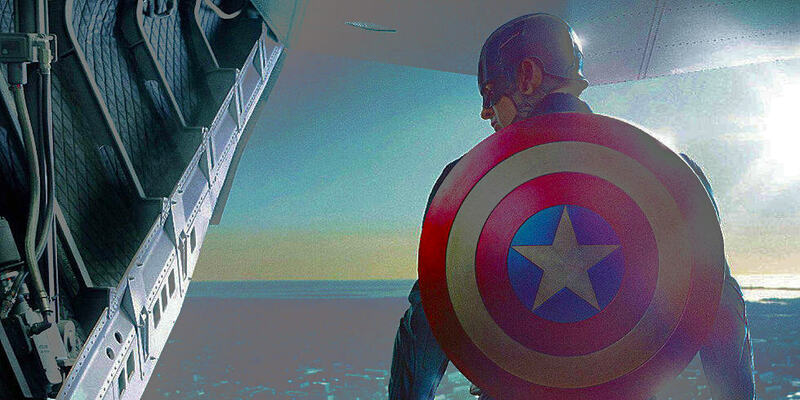 The Daytona Captain America D.O.T. 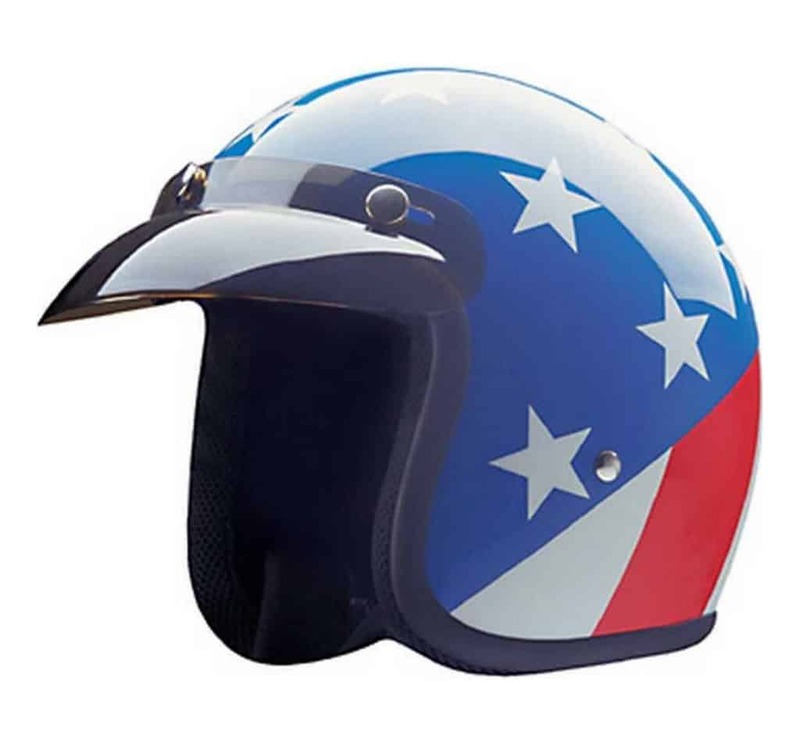 Approved ¾ Shell Cruiser and HCI Captain America Open Face Helmet feature a Captain America design and are definitely among the best in the category. The Captain America helmet from Daytona is probably the smallest ¾ open faced helmet out there. Each of these Captain America Helmets is custom designed, so the coloring and composition might vary from one product to another. The fiberglass shell assures its strength and safety, all the while making it lightweight. It features a UV clear finish and comes with a nylon Y-strap system. Additionally, you get a free head wrap and a black bubble visor, which are worth a few bucks each. And you also get a free draw string cloth bag. It is available in four different sizes. Again the price varies depending on size. It is extremely light weight and slim. The fiberglass used for its construction assures its strength and safety. It does not come with any built-in visors, which is a downer. It’s not meant for high speed and harsh weather conditions. The safety is doubtful as it leaves a large portion of the face open. If a small helmet is what you are looking for, this is the one to go for. It is remarkably comfortable and fits perfectly. You will not look like a mushroom head with this one. Also, no one will question your allegiance to the ‘Captain’. So, that’s a plus, in a way. It’s definitely worth a buy. This helmet has been constructed with light weight advanced ABS shell. The stars and stripes have been custom painted with high-quality paint. 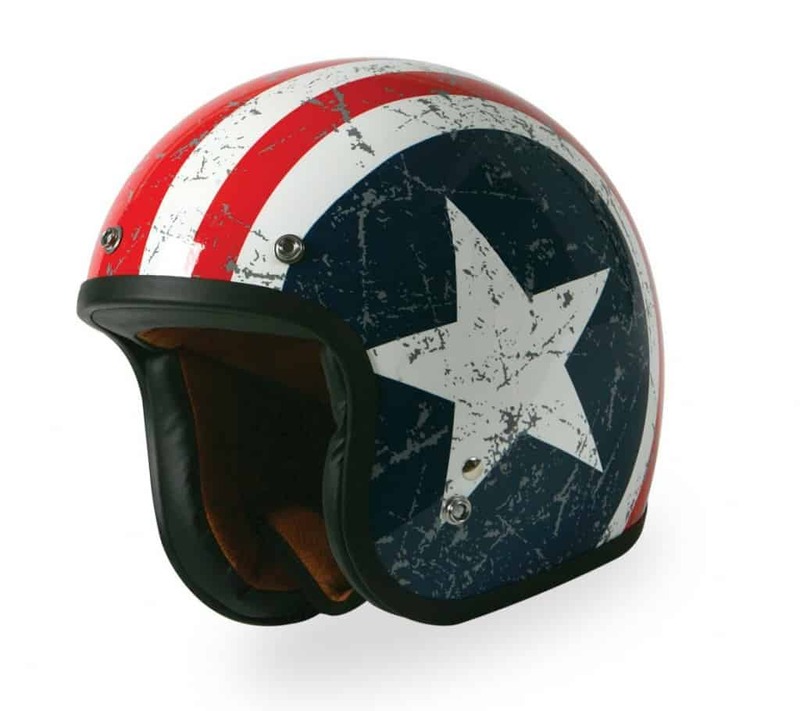 This old school ‘Captain America’ helmet features plush liner for comfort. And the three-snap visor makes sure that you get protection from the sun, which also helps to minimize wind resistance. 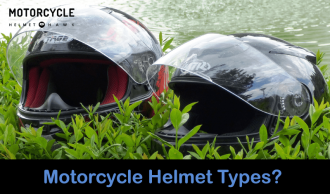 The helmet is available in six different sizes. The graphics are of high quality and look really good. 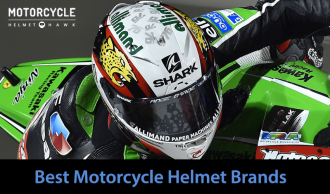 It is available at a reasonable price for its quality, even when compared to the previous helmets. 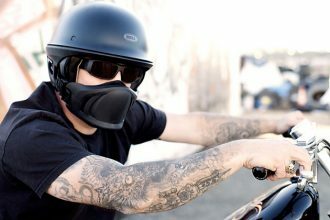 The 3-snap visor is a bonus and makes riding easy without wind disturbance. The plush liner is not enough for comfort, which makes it uncomfortable when cruising for long hours. 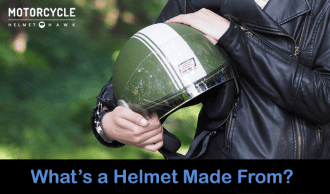 There aren’t any straps, which means the helmet might slide backwards or even fly off while riding at high speeds. It isn’t for harsh weather conditions. This ABS shell and light weight helmet from HCI is available at a bargain. It looks great with its high- quality graphics and is fairly comfortable with its plush liner. 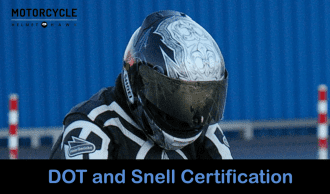 It is DOT certified and meets all the necessary safety standards. The 3-snap visor provides added protection. 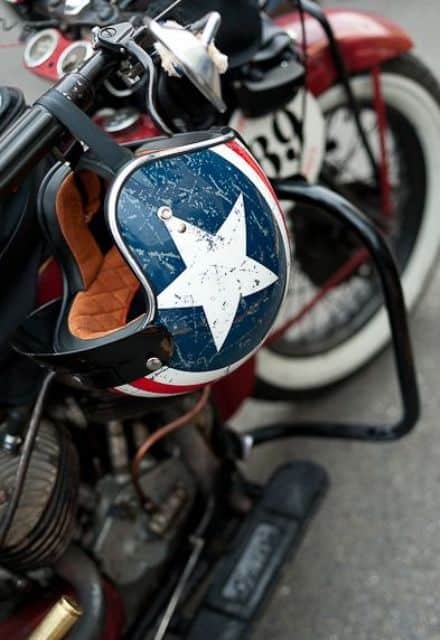 It’s probably one of the cheapest ‘Captain America’ helmets on the market while featuring so many qualities. Your dream of looking like a Captain America is nearly there…well, not really. Still, these helmets are really cool and will definitely make you stand out in the crowd of boring traditional helmets. Each helmet is priced differently and it’s up to you to choose the best one. 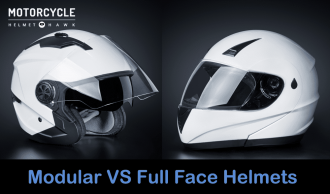 The TORC and Daytona helmets are fairly similar in terms of manufacture and features. But the TORC edges out the other two because its rugged design sets it apart from the crowd and looks really cool. It is super-slim with barely any weight and is comfortable even while riding for long hours. Different size options offer a personalized fit. Make sure to weigh in all the pros and cons before you take your pick. But, with these three products and the prices they are offered at, know that you can make your decision with confidence. The safety, however, is minimal because these are all open-faced helmets.